Venerable British luxury brand Dunhill loves their leather and carbon fiber, perhaps best exemplified by their $14,000 Carbon Fiber Fingerprint-Sensing Wallet. 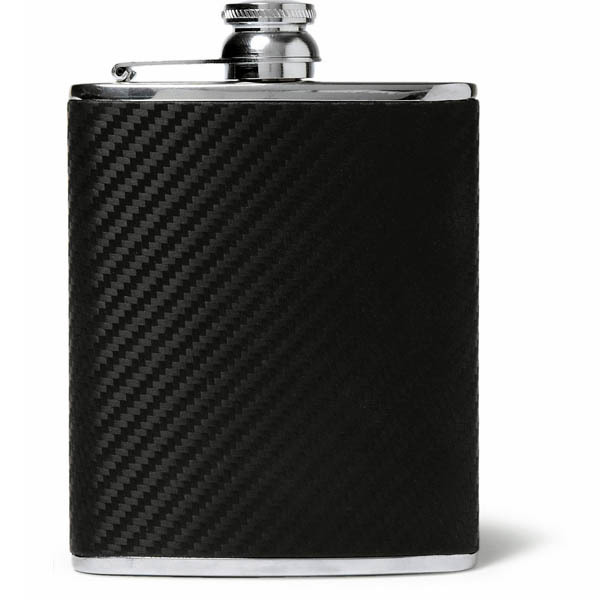 While that beautiful piece seems aimed straight at James Bond, their leather and carbon fiber flask would also make a nice addition to the suit pocket of 007. Made from stainless steel, the 6oz flask features Dunhill’s signature leather, woven in a carbon fiber pattern to lend it a sheen of premium durability. Sure you could pick up a similar flask for $20 at the army surplus store, but that wouldn’t be very Bond-like, now would it? No, if you want Dunhill’s version best be prepared to throw down $175.